Compartment SAM — Key Systems, Inc. Here at Key Systems, Inc., we often design and create a product to suit a customer's specific needs. This is how our modular Security Asset Manager™ came to be. 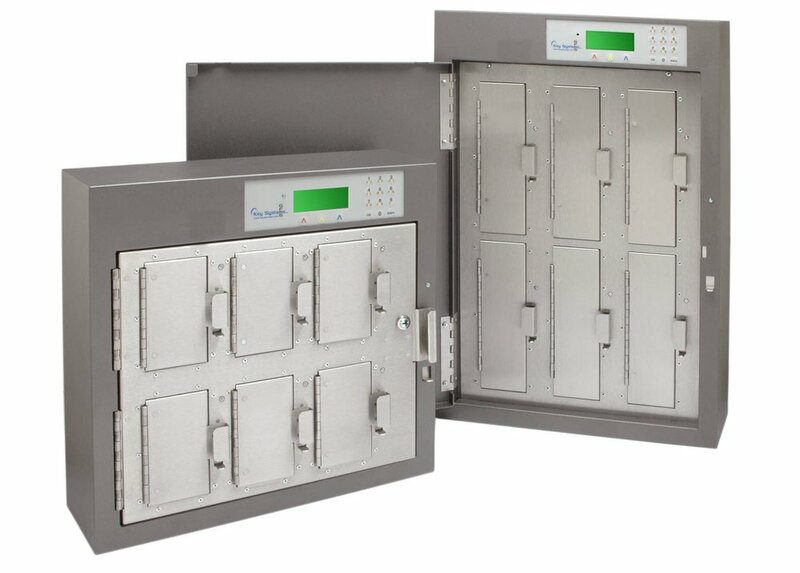 Using KSI's Global Facilities Management System™ technology, this SAM configuration enables you to secure and monitor even the smallest of assets in individual locked compartments. The unit shown on the left offers a deeper cavity for more compartment space. The unit on the right provides an added layer of security to your assets by enclosing the compartments behind a 16-gauge steel door. Both styles come in a variety of sizes. Please call for more information. For secure and protected storage of larger assets, please also consider our offering of electronic locker solutions. Personal items... the list goes on!